It’s no secret that the Clintons have ties to corruption… but some people know more about the lurid details than others. One of those individuals with insider knowledge of the Clinton machine is Dan Bongino, an author, and former Secret Service agent. During a recent interview with Tucker Carlson, the former agent made his thoughts on the other corrupt Clinton — Hillary — crystal clear. “I found (her) to be the most deceptive human being, manipulative political person in a position of power I’d ever met in my entire life,” he told the Fox News host. That statement quickly drew the ire of Nick Merrill, who was Clinton’s one-time communications director. Merrill lashed out and tried to discredit Bongino, but the former agent hit back in epic fashion… and included a hint about an alleged Bill Clinton pedophilia connection. “She has enormous respect for the Secret Service and a great relationship with the agents on her detail,” Merrill claimed on Twitter. In fact, several respected sources have insisted that the Clintons loathed their protective agents to the point that agents often asked to be re-assigned. “This guy (Bongino) was never on the Clintons’ detail, and I don’t recognize him in the slightest,” Hillary’s lackey Merrill claimed. That’s when Bongino struck back. A picture is worth a thousand words — and the former agent used exactly that to prove that Merrill was full of baloney. 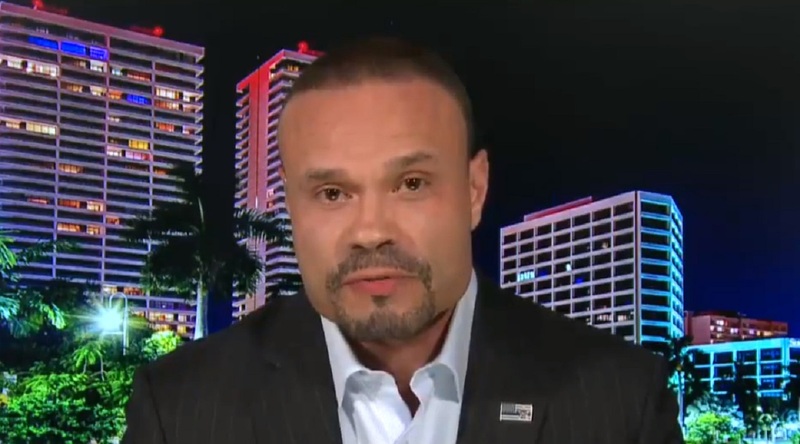 After posting a newspaper photo of himself on duty literally inches away from Hillary Clinton, Bongino dropped a bombshell clue that he wasn’t done with the Clinton’s just yet. “Be careful Nick, people know things not yet released publicly about your messiah Hillary,” he warned. “Don’t poke the bear loser, you may not like the results,” he continued, before including these hashtags: “#Epstein #EmailGate.” Read more CT.
Do you believe Dan Bongino has insider knowledge? Comment below!